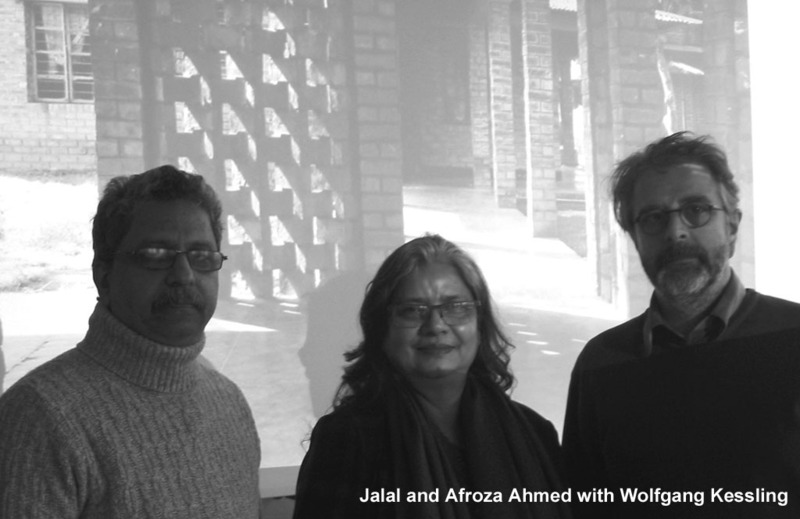 On 6th December 2017, Jalal and Afroza Ahmed from J. A. Architects gave us the honor to visit us and share their decades of experience in work and the difficulties of life in the delta impacted by the waters of Monsoon, Ganges, Brahmaputra, Padma, where gardens may float besides fishes in cages, both meant to feed people. We learned about they cleverly set up local brick-buildings, about the poky slums where fire desasters might be followed by formidable “build back better” campaigns and much more, including the innovative new BRAC University, rising in Dhaka for to improve in future both, that ever growing metropolis and the country in general, Bangladesh.